Diamonds are the first gemstones that come to mind when thinking of engagement rings, but they’re not the only gemstones that are used in these settings. Birthstone engagement rings featuring brightly colored gemstones are becoming increasingly popular, especially among couples who want to make a bold personal statement with their jewelry. Shopping for birthstone engagement rings is a completely different experience than shopping for diamond rings. Our goal at Brilliance is to make your shopping experience as easy and convenient as possible. That’s why we put together this helpful guide which will help you find the perfect birthstone engagement ring. 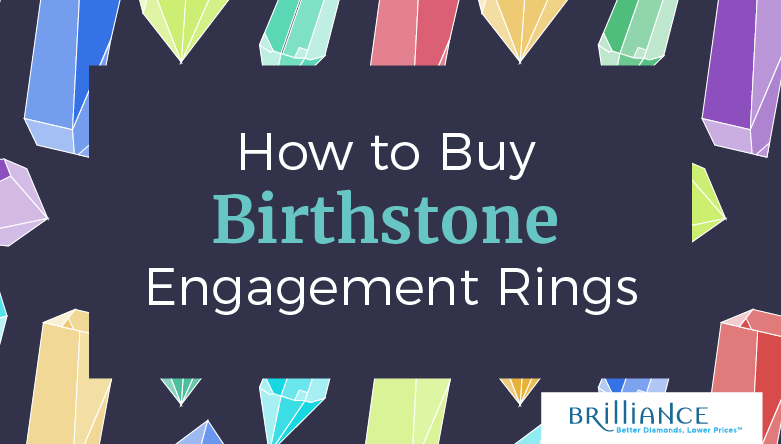 The first step to buying a birthstone engagement ring is setting a budget. Don’t wait until you’re inside a jewelry store to complete this step. It’s important to figure out how much you want to spend on a ring before you actually start shopping. This way, you will not end up spending more than you can afford. A lot of people base their budgets on old-fashioned rules that state people should spend a few months’ salary on an engagement ring. Some of the rules call for people to spend one month’s salary, but others go as high as three months’ salary. There are even rules that state the amount you spend on an engagement ring should correlate with the number of months of years you’ve been with your significant other. These rules serve as great guidelines, but there’s no reason to feel bound by them. In fact, these rules were created by marketers in the 1940s in an effort to get consumers to spend more on diamonds, so they are definitely not set in stone. Instead of worrying about breaking the rules, figure out what budget feels right for you. Engagement ring shopping should be a time of excitement and joy, not a time to be worrying about what you’re spending. Crunch your personal finances to come up with a number that you feel comfortable with. It might be easier to come up with a price range instead of a single budget amount, giving you more wiggle room if you should find the perfect ring. Don’t forget that many retailers offer financing, so you can make small payments over time instead of paying the ring off at the time it’s purchased. Once you start shopping, it’s best to avoid looking at engagement rings that are priced outside of your budget. You may end up falling in love with a ring that is way out of your budget, which puts you in the unenviable position of having to choose whether to break your budget or settle for another ring. 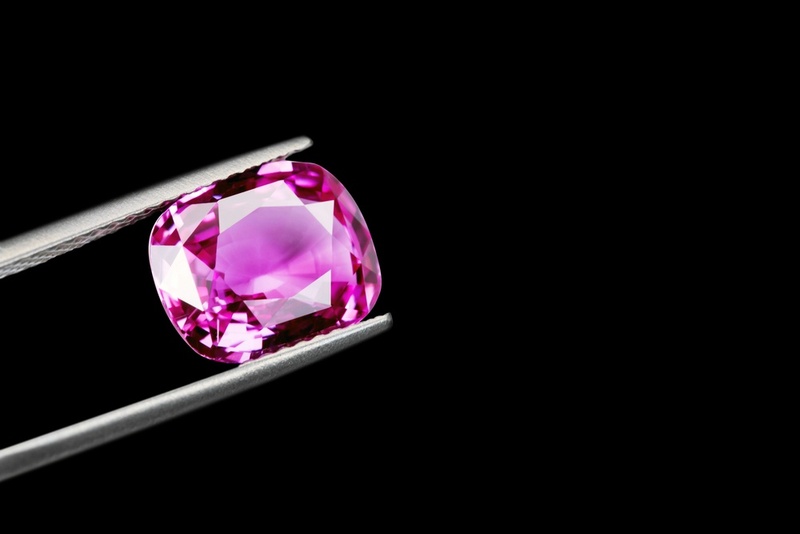 Some birthstones are more expensive than others, but in general, all birthstones are less expensive than diamonds. This means you should not have any trouble finding a beautiful birthstone engagement ring even if you’re working with a small budget. Choosing a birthstone is the easiest part of the process of shopping for an engagement ring. Why? 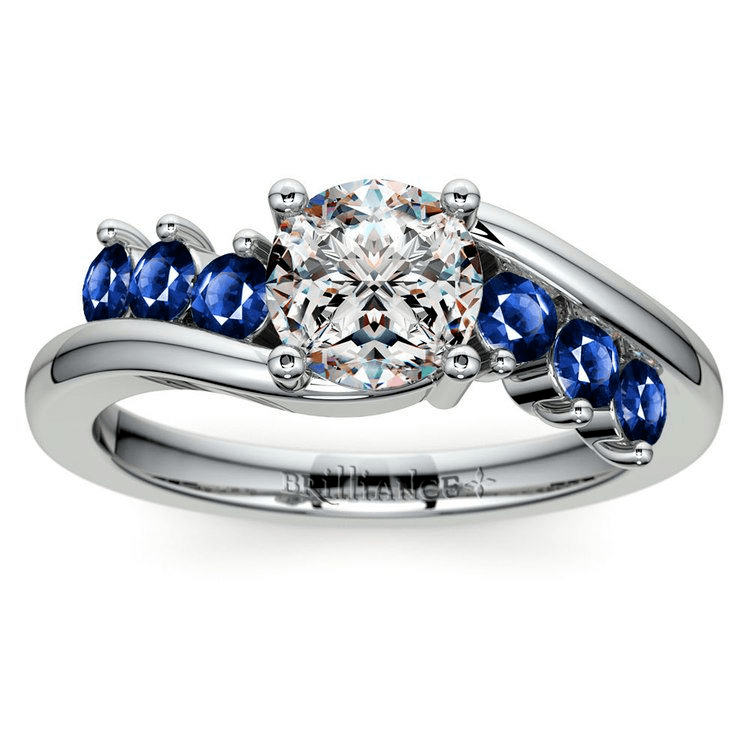 Most couples pick a birthstone that corresponds with the bride-to-be’s birthday. If your significant other’s birth month has more than one gemstone, conduct a little bit of research before deciding which one to choose. Different gemstones have their own properties that might make one a more practical choice over another. For example, there are three birthstones for the month of June. Pearl and moonstone score fairly low on the Moh’s Scale of Hardness, which means that they scratch easily and require more care and upkeep. Alexandrite, on the other hand, has a score of 8.5, which means it’s very durable and resists scratches. Since this ring will be worn for decades, it’s best to choose a gemstone that will hold up over time. In addition to the gemstone’s hardness, you should also look at prices and availability of each option before making a final decision. For example, aquamarine is easier to find than bloodstone even though they are both official birthstones for the month of March. Don’t forget to think about her personal preference as well. Your August-born significant other may hate peridot, which is her birthstone, so you need to take that into account as well. It might be the most important criteria! Some birthstones are found in more than one color, so keep this in mind when shopping for an engagement ring as well. For example, most people associate sapphire with the color blue, but this gemstone is also found in pink, green, yellow, orange, and several other colors. Make sure you choose a color that will make your significant other’s eyes light up with joy! Finally, consider going extra-personal and including both of your birthstones in the ring, especially if you’re going with a custom design. If one of you has a fairly neutral birthstone that pairs well with others, such as pearl, diamond, or opal, this is easy to accomplish and it puts a great story behind your ring choice. What if Her Ideal Gemstone Isn’t Her Birthstone? You don’t have to limit yourself to her birthstone if there’s another gemstone she’s eyeing up! Sapphires, emeralds, and rubies are three of the most popular gemstones, so women often wear them regardless of what month they were born. As a matter of fact, a number of celebrities wear engagement rings with gemstones that are not their birthstone. Kate Middleton was born in January, but that doesn’t stop her from wearing a breathtaking sapphire engagement ring that once belonged to the late Princess Diana. Ashlee Simpson rocks an engagement ring with rubies, which is the birthstone for July, even though she was born in October. These ladies serve as proof that no rules are set in stone when it comes to finding the right engagement ring. Throw the rules out of the window! The key is to be bold and choose the ring that works for her. It’s all about your individuality as a couple! Finding the right birthstone is only the first step. Now, it’s time to choose the setting. Two birthstone engagement rings can look completely different from one another if they’re in different settings and metal types. This is your opportunity to completely personalize this ring and make it her own! Each of these metals is beautiful, but some will complement the birthstone you choose better than others. Looking at the birthstone color’s warmth or coolness makes it easy for you to choose the right pairing. Gold is the most popular metal used in engagement ring settings, and it pairs beautifully with each birthstone. Cool colors such as purple, blue, or green look best in white gold settings, whereas warm colors such as yellow, red, and orange look best in yellow gold. Rubies, pink sapphires, and diamonds also look stunning in romantic and feminine rose gold settings. It all comes down to personal preference, so mix and match until you have found a gemstone-metal pairing that you love. But remember that gold isn’t your only choice! Plenty of couples end up choosing alternative metals for further self-expression. Some favorites include platinum, titanium, and cobalt. Platinum is ultra-durable with the look of white gold. It’s also the most expensive precious metal, so keep this in mind if you’re committed to staying under a certain budget. Another option is titanium, which is super lightweight and comfortable for women with active lifestyles. Cobalt is an excellent choice for intricate, shaped bands that need a lot of durability, because it’s hard without sacrificing malleability. These two alternatives are much more affordable than platinum and gold, so they’re perfect for shoppers on a budget. Making sure the birthstone color and metal complement one another is important, but so is your significant other’s personal preference. It’s important to try to find out what metals your significant other likes and wears the most. If you don’t want to give away the surprise, try to find out which metals she prefers on your own. Peek inside her jewelry box or pay attention to the jewelry she wears the most often. What kind of metal is it? Don’t be afraid to ask her friends or family members for a little help if you’re worried about her catching onto your plan. Use this information as a guide to help you choose the right metal for her engagement ring setting. At this point, you know how to choose the right birthstone and find a metal to pair it with. But, you’re not ready to pop the question just yet. Next, you must choose the perfect setting for her birthstone engagement ring. Whether you’re looking to go classic or modern, there are plenty of different settings available, which means there’s something for every woman! People who are shopping for a timeless, sophisticated setting often choose a solitaire engagement ring. Solitaire settings are understated and elegant. This minimalist setting really shows off the beauty of the gemstone and allows it to take center stage. 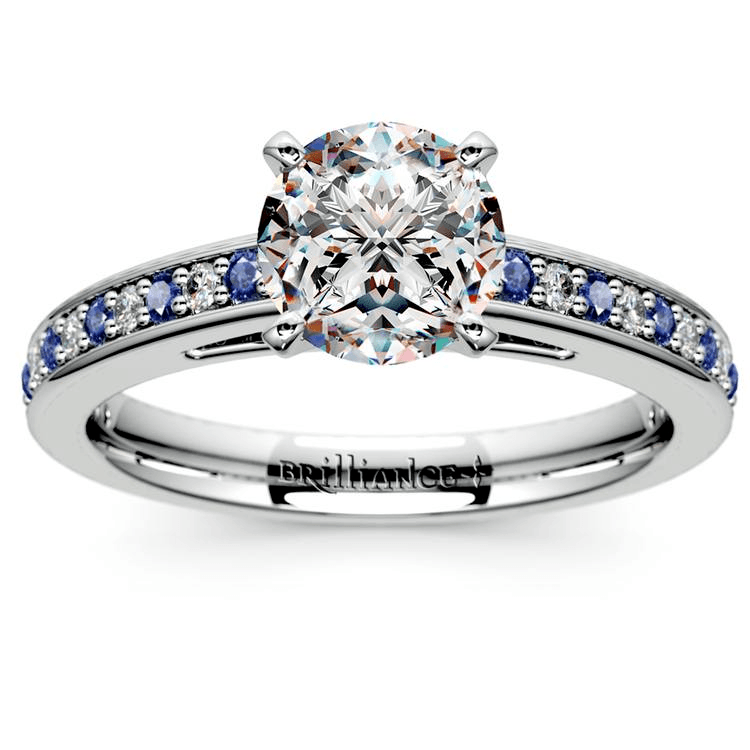 Another popular choice is the halo setting, which is a modern twist on the solitaire setting. This setting features a single center stone surrounded by smaller gemstones in the shape of a halo. Since the halo setting features many small-sized diamonds, it’s a great choice for women who love the timelessness of solitaire settings, but long for a ring with a bit more sparkle and shine. Vintage-inspired settings featuring delicate and intricate detailing on the band are also very popular. These vintage-inspired rings are usually set in yellow or rose gold, and they’re an excellent choice for a bride-to-be who loves Victorian aesthetic and timeless touches. The channel setting features a row of stones deep-set along the band, and it’s a great choice for showing off an extra-special center gemstone. Despite being super-luxurious, these settings are quite sturdy, because each stone is suspended in an individual “seat” along the channel row. Channel settings are ideal for women who live active lifestyles or work with their hands. Since the stones are set within the band, they won’t snag on anything as you go about your day. The bezel setting offers modernity and contemporary flair. It’s great for minimalist brides-to-be. The stone is deep-set so that it’s flush with the surface of the band, so you’ve got a hint of glimmer without the drama of a solitaire setting. This setting is extra popular as a men’s engagement ring or for couples who love to break tradition. There are countless different settings to choose from, so it can be a bit overwhelming to search for the perfect one. You know your significant other better than anyone, so trust your instincts and you should have no problem finding one that suits her perfectly. Everyone has a friend with a disastrous engagement story. There’s nothing worse than getting on one knee at her favorite team’s game, ready to pop the question right there at the stadium, only to fumble and lose the ring under the bleachers! Don’t let that happen to you. Before popping the question, insure the ring, whether it is worth $200 or $20,000. Many people make the mistake of waiting until after they have popped the question to insure the ring. But, couples who do this often forget to get insurance because they are caught up in the excitement of sharing their big news and planning their wedding. For this reason, it’s in your best interest to secure insurance at the time the ring is purchased. Ask your jeweler if they work with or can recommend an insurance company so you can obtain a policy quickly. Whatever you do, choose an insurer who specializes in jewelry. Renter’s and homeowner’s policies may have low caps for jewelry and can be harder to work with in terms of documentation. In addition, these insurance policies typically will not provide coverage if you simply lost the ring. Covers loss, damage, and theft so no matter what, so you’re always protected! On average, a policy through Brilliance’s third-party insurer costs 1 to 2 percent of the jewelry’s total price, making it a steal! The best part—it only takes about five to ten minutes to add this coverage onto your purchase on the Brilliance website. Don’t delay, make sure you’re thinking about insurance even before you click the “Add to Cart” button. Shopping for the perfect birthstone engagement ring can be a struggle, or it can be completely stress-free. Use a critical eye when considering which retailer to go with for your engagement ring search. Avoid retailers who don’t specialize in jewelry (e.g. big box department stores) since they will not offer the highest quality pieces or have as many options to choose from. You should also avoid retailers that lack certification for their diamonds or sell unethically-sourced gemstones. If a retailer has overly stringent policies for returns and guarantees, it’s best to keep looking. This type of retailer is only likely to cause a headache! You should purchase an engagement ring from a retailer who wants your significant other to be happy, even if that means completing a return or exchange after the sale. Choose a retailer that has the buying experience in mind. Look for jewelry expertise, certified diamonds (even if you’re not buying diamonds, certification indicates that the company cares about authenticity), and buyer-friendly shopping policies such as free shipping and easy returns. 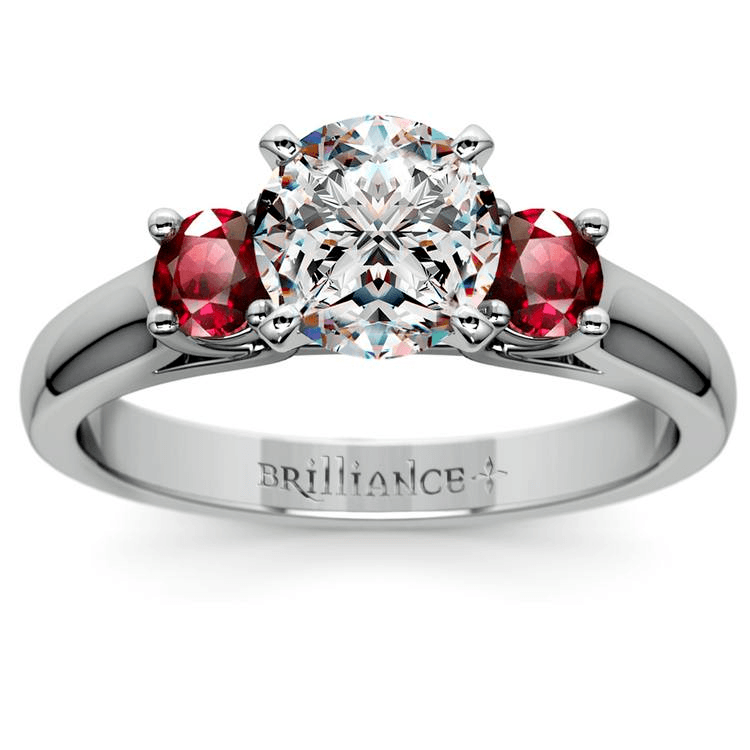 At Brilliance, we offer Better Diamonds, Lower Prices. More than that, our rings come with lifetime warranties, 30-day returns, and a low price guarantee. Congratulations—you’ve found the perfect birthstone engagement ring for your significant other! You know the next steps: find the perfect moment, get down on one knee, and begin this next adventure together. At Brilliance, we’re all about making memories that last forever. Have questions about your pending purchase? Get in touch with one of our Diamond Experts today.